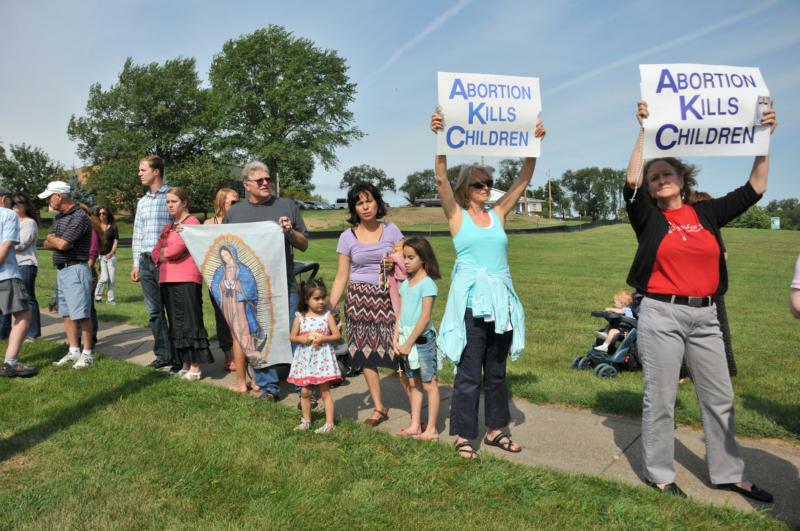 DAVENPORT, Iowa (CNS) — An Iowa District Court judge Oct. 2 upheld the state’s 72-hour waiting period for abortions, signed into law in May by former Iowa Gov. Terry Branstad. Planned Parenthood of the Heartland had filed a petition for injunctive relief immediately after the bill was signed into law May 5, claiming that it would place an undue burden on patients, particularly low-income women who have to drive long distances for abortion services. The Iowa Supreme Court ordered a temporary injunction halting enforcement of the law the same day, according to news sources. Polk County District Court Judge Jeffrey Farrell upheld the law, ruling that it is legal because it does not place an undue burden on a woman’s constitutional right to abortion. However, this does not mean the law will be enforced immediately. Although he denied Planned Parenthood’s petition for an injunction, Farrell stayed implementation of the law to allow time for an appeal and for the Iowa Supreme Court to act. Planned Parenthood, backed by attorneys from the American Civil Liberties Union of Iowa, immediately filed an appeal to the state’s high court seeking a new temporary injunction blocking enforcement of the law. The law requires physicians who do abortions to obtain written certification from the pregnant woman at least 72 hours prior to performing an abortion. Additionally, the new law requires that women be given the option to view an ultrasound and receive materials about risks associated with abortion. Currently, 27 states have implemented waiting periods for abortion, ranging from 18 to 72 hours. Chapman said it is tough to predict what will happen next. Some states with 72-hour waiting periods are in effect, while some have been stopped by their courts, he said. As was done at the district court level, he believes the Iowa Supreme Court will address whether such a waiting period puts in place an unconstitutional “undue burden” on a woman’s legal right to an abortion. Even if the Iowa Supreme Court rules in favor of the law, Planned Parenthood could choose to appeal at the federal level. Sheryl Schwager, executive director of Johnson County Right to Life in Iowa City, Iowa, said she believes she understands why Planned Parenthood has been fighting this bill. “Planned Parenthood and their advocates know that if a woman has more time to reflect and consider her options, she may choose life for her baby.” She asked people to pray that the Iowa Supreme Court concurs with the lower court ruling. Steele is a reporter at The Catholic Messenger, newspaper of the Diocese of Davenport.